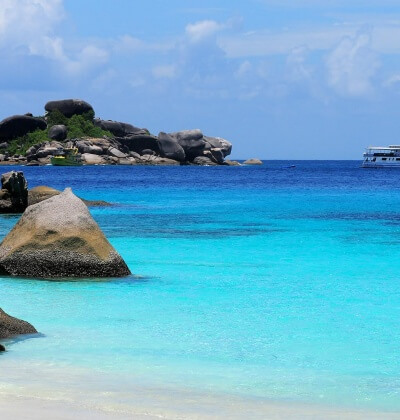 Racha Noi Bay is a delightful and scenically beautiful bay to the vey south east side of Racha Noi. This bay is rarely dived as a stand alone dive site because of its distance from Phuket itself. It can take as much as 40 minutes extra boat ride to the dive site. The dive site is the closest dive site to the favour manta ray dive site of South Tip. For this reason often when the experienced divers are diving South Tip this is the bay where the novice divers will dive. It always seems to have crystal clear water and lovely white sand that makes it visually stunning above the water. Below there is quite a large soft sand plateau that makes it a very good beginners dive site. Head east and you will follow a rocky reef and eventually hit a sandy bottom that levels out at about 35 metres. There is a small rocky island to the south which makes for a nice attractions during the dive and if you continue to the south you can follow the rocky reef anywhere between 10 – 25 metres. Be careful following the reef as when the currents are strong they will run directly to the south and it can take you for a long ride. Probably the best drift dives I have done have been at Racha Noi Bay. Racha Noi is a great place for pelagic and of course with the manta rays, so you never know your luck. 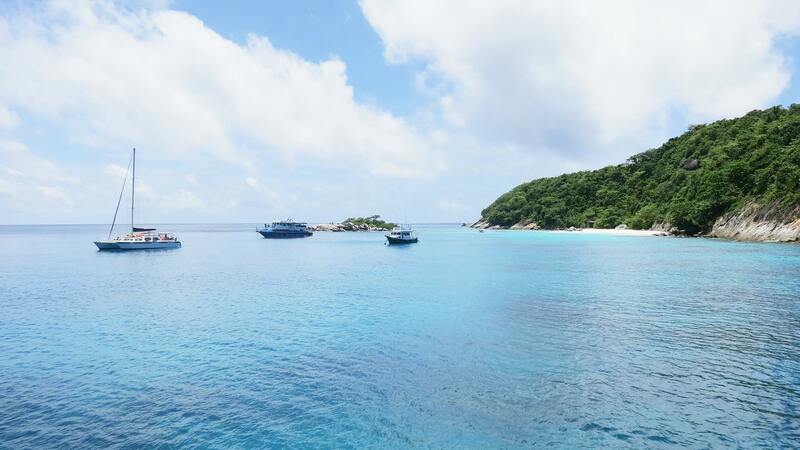 Dive boats go to Racha Yai every day of the week as a part of a 3 dive combo with Racha Noi. 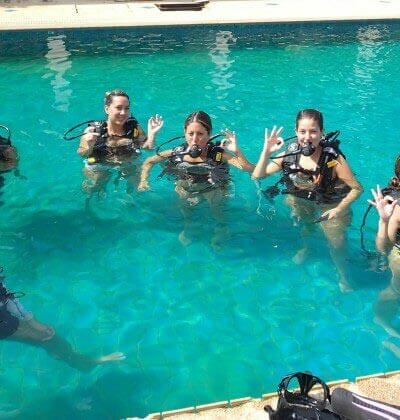 All scuba diving dive sites are at the discretion of the tour leader on the day. Dive sites are selected based on the weather conditions, currents, safety and suitability to majority of divers on the boat. 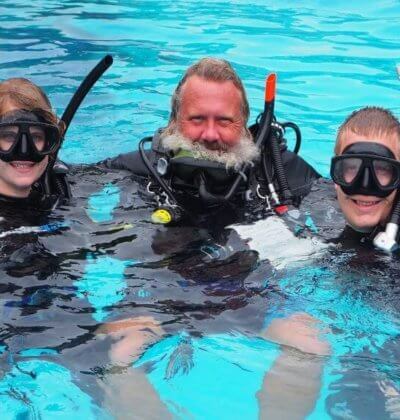 We cannot guarantee specific dive sites prior to the boat departing.